The Royal Challengers Bangalore (RCB) are gearing up for the upcoming season of the Indian Premier League (IPL). In a bid to win their maiden title, the franchise has made a host of changes in their support staff. Australia leg-spinner Fawad Ahmed has decided to retire from first-class cricket in a bid for World Cup selection. He is very much optimistic about his selection in the Australian team for the mega-event and won’t be available for his state team Victoria for the remainder of the Sheffield Shield season. After a gruelling Trans-Tasman tour, Team India is currently having a small break after which they will be facing Australia for the two T20Is and five ODIs. The tour will commence on February 24 with the T20 Internationals and the selectors will get together to pick the squad for both the series on February 15. With the World Cup less than five months away, each time is trying to figure out the best playing XI for itself, and are asking experts for their opinions. Former Australian spin wizard Shane Warne feels that his side is one of the favorites to lift the coveted trophy and has backed the currently suspended duo of Steve Smith and David Warner to make a powerful return to the side. Peshawar Zalmi and Pakistan pacer Wahab Riaz has revealed that he is hoping to get a place in the Pakistan World Cup squad by impressing the selectors with his performances in the fourth edition of the Pakistan Super League (PSL). 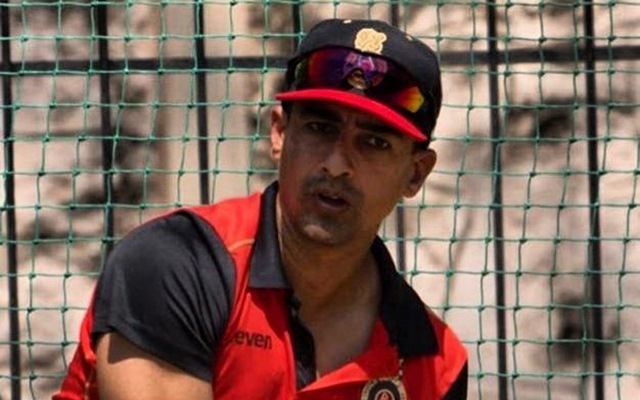 Having played his last ODI in June 2017 against India in the Champions Trophy, the 33-year-old has still not lost the hope of making an international comeback before the biggest cricket event beginning on May 30 in England and Wales. Former India fast bowler and Chennai Super Kings (CSK) bowling coach, Lakshmipathy Balaji has backed MS Dhoni to be the star performer at the World Cup, saying the veteran wicketkeeper’s experience will come in handy to Virat Kohli’s troops. Balaji, Dhoni’s CSK colleague said that a seasoned campaigner like Dhoni is crucial to India’s middle-order, which lacks inexperience after the top three – Rohit Sharma, Shikhar Dhawan and Virat Kohli. While Virat Kohli hogs the limelight for India’s recent success across formats and rightly so, there is little denying that Cheteshwar Pujara has been equally impressive in Tests in the last few years. Pujara underlined his huge importance in the Test team once again with a starring role in the historic Test series in Australia. KL Rahul’s dream of playing in his first World Cup might have landed in trouble for India’s chief selector MSK Prasad feels the man needs to score runs to get back into the squad. The Karnataka batsman eventually hit some form in the first unofficial Test for India A against England Lions in Wayanad last week but it might have come a bit too late. Mayank Agarwal wouldn’t have expected the opportunity to make international debut coming his way the way it did. The talented opening batsman from Karnataka did whatever he could to get the national call but the opening came when Prithvi Shaw missed out on the Test series in Australia because of an injury and other openers failed to impress. Left-arm pacer Mitchell Starc saw both the low and high of cricket this summer. He had an ordinary outing against in a four-match Test series against India taking 13 wickets and the critics were running out of patience to see his back. India’s Jemimah Rodrigues and Smriti Mandhana move up the T20I rankings; Windies’ Deandra Dottin tops all-rounders list. The India pair of Jemimah Rodrigues and Smriti Mandhana have made impressive gains among batters in the MRF Tyres ICC Women’s T20I Player Rankings despite their side’s 3-0 series loss to New Zealand, while Windies all-rounder Deandra Dottin has grabbed the top spot among all-rounders in the latest update carried out on Tuesday. Virat Kohli is known for his flamboyant batting style across formats in the modern day cricket which has won him plaudits from the best in the business. Recently, former batting legend Kumar Sangakkara, who has more than 18,000 international runs and seems to love watching Kohli play, joined the ranks of the Indian skipper’s fans. Shannon Gabriel has received a warning from the on-field umpires for using abusive language during day three of the third Test against England in St. Lucia. The incident took place during the second session of the day with England in firm command of the proceedings. The third Test between Windies and England in St Lucia is a dead rubber after the former took a 2-0 lead, winning the first two Tests in Barbados and Antigua respectively. However, the Three Lions have managed to come back strong and are currently leading by 448 runs at the close of play on the third day, courtesy of skipper Joe Root’s masterful knock of 111 from 209 balls. After losing their maiden Test and ODI series to India at home, Australia are set for a reciprocating tour of India starting February 24. The Kangaroos will play two T20Is and five ODIs during their visit and have already announced their squads for the respective variants.